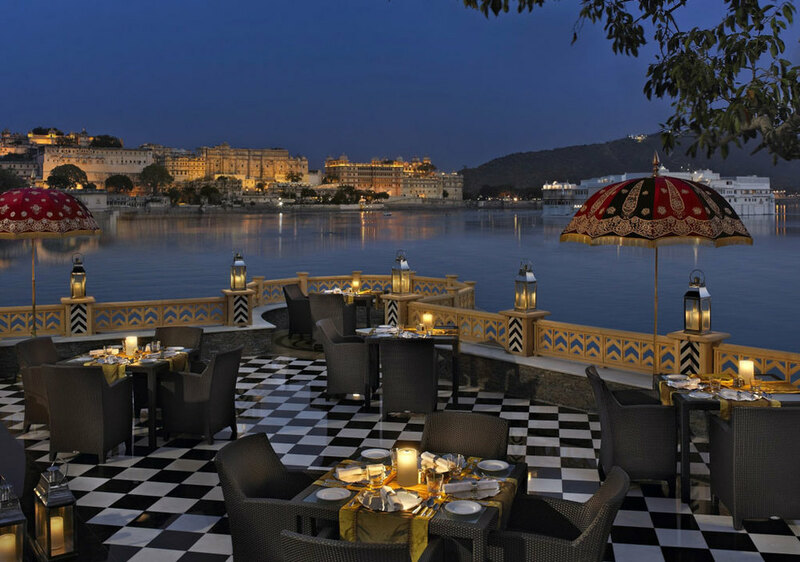 This tour takes you to foodie paradise in North India... so we figure the hotels you stay at should be correspondingly toothsome. Here's our pick. Here are some of our recommended hotels. More pictures in the bar on the right. 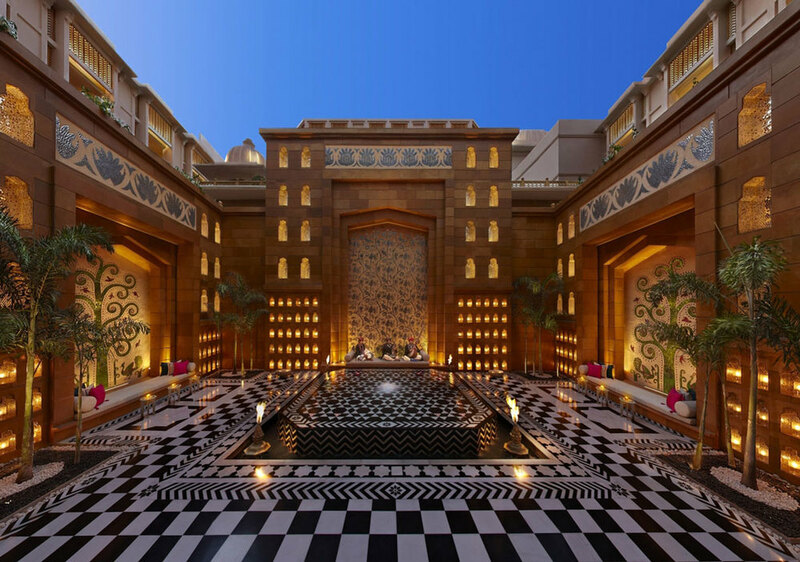 Five star luxury by the Taj Group in the heart of Delhi. 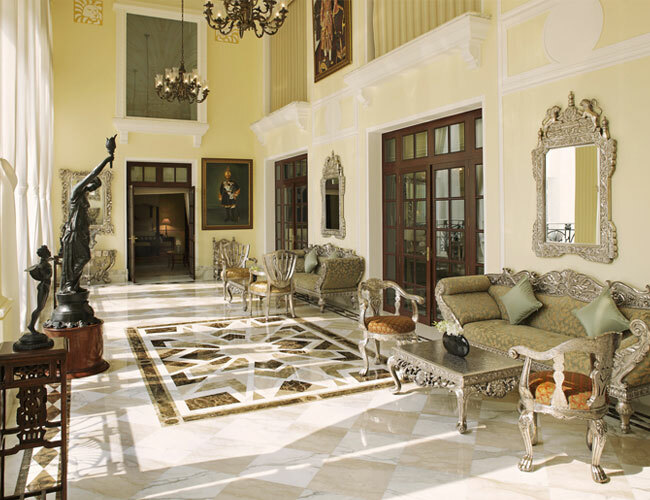 35 acres of gardens and a stunning lobby. 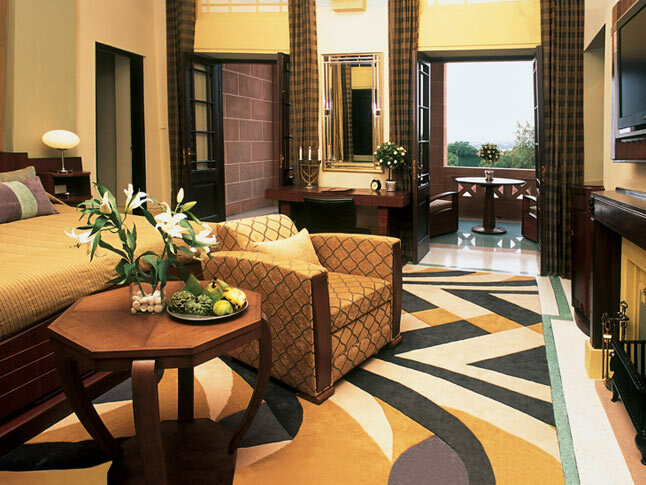 Richness and comfort amidst sprawling landscaped gardens. Lovely gardens, great hotel a short drive from the city centre. 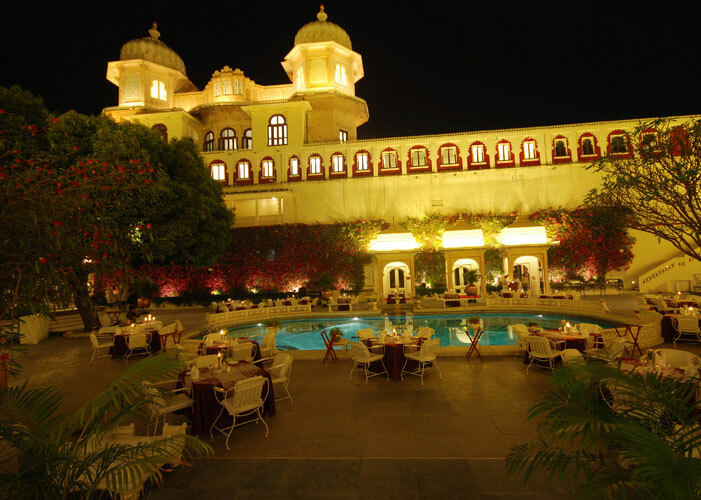 Spacious and luxurious heritage hotel in green surroundings. 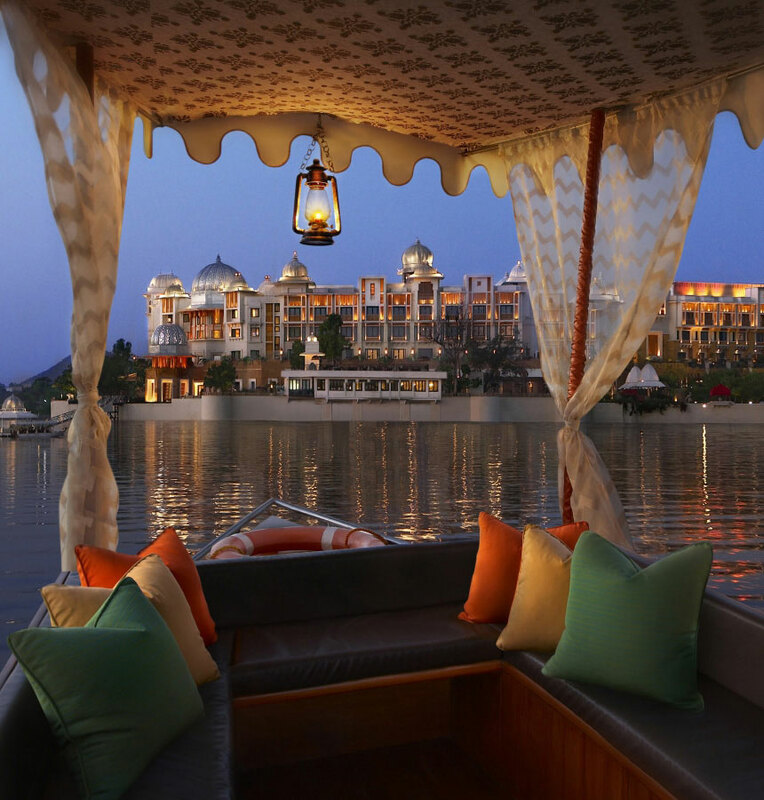 Stunning architecture in a regal setting by the lake. A great place for families. The higher rooms here have a view of the Taj Mahal. 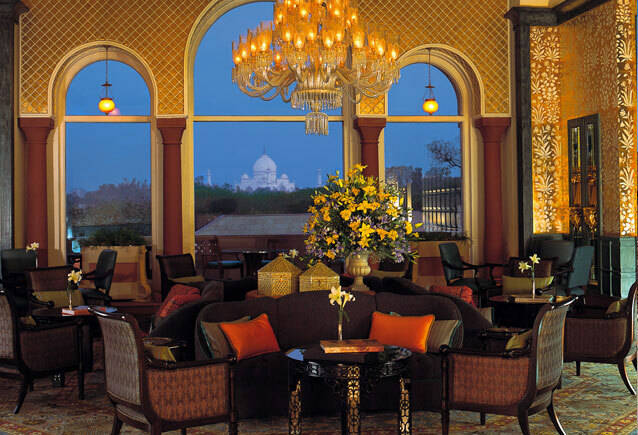 Old world luxury with splendid views of the Taj Mahal. 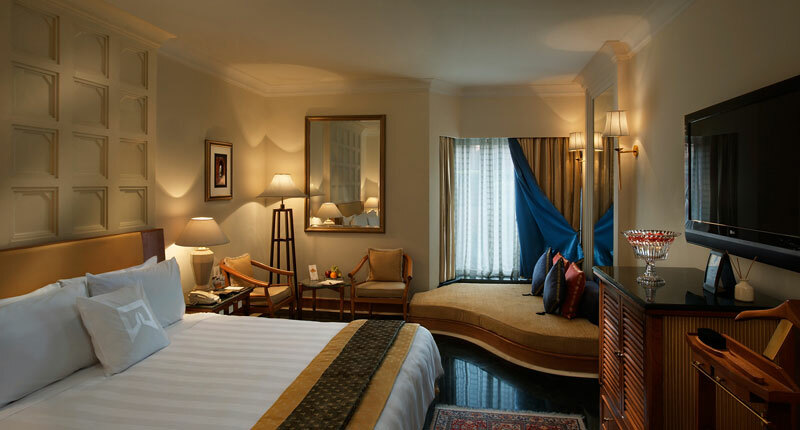 A beautiful and lavish heritage hotel steeped in history. 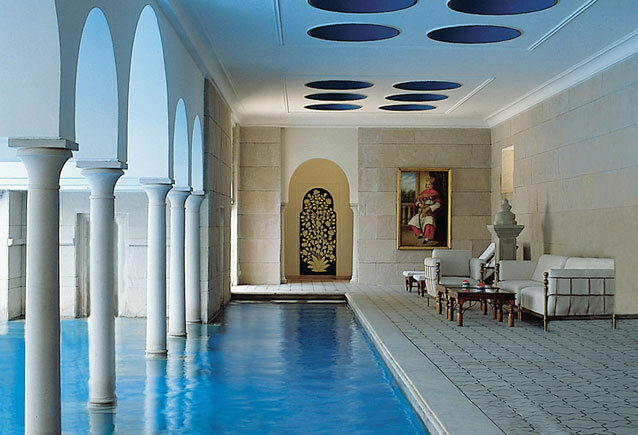 Hospitality by the Taj Group in the home of the Maharajah. A heritage hotel perched on a hill overlooking a lake. 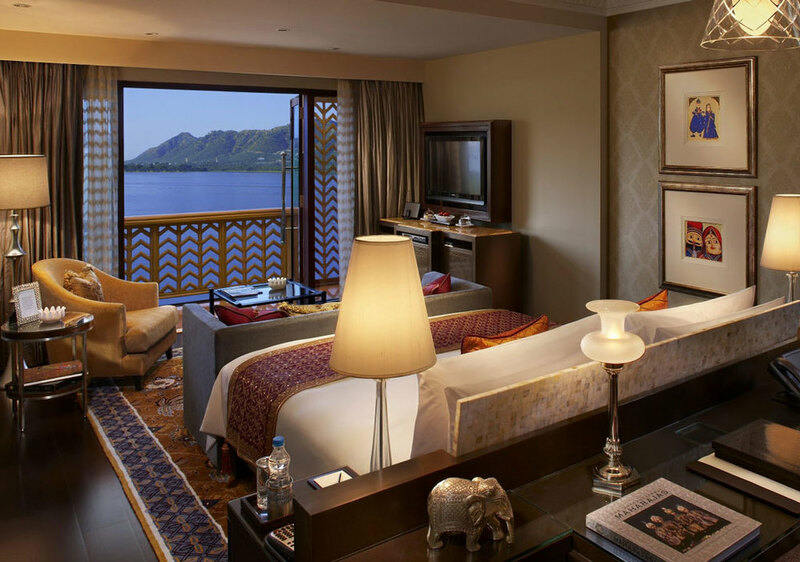 An immaculate blend of royal splendour and modern comfort. Agra, the city of the Taj Mahal, is famous for its Mughlai cuisine. The renowned kebabs of Agra can be found in any hotel, from 5 star to the local ‘dhabas’ on the street. Kormas and curries are the most favoured dishes, which use curd, cream, nuts and almond sauce as the chief ingredients. Agra is famous for its salty snack known as ‘Dalmoth’ and its sweet called ‘Petha’.